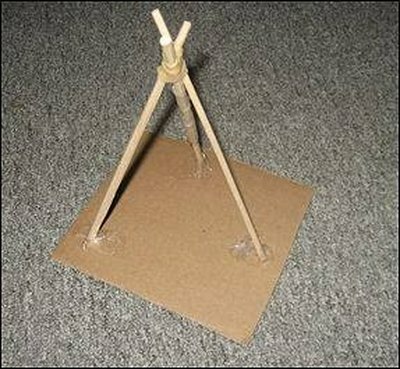 Whether you're making a diorama or just playing cowboy and Indians, model tepees are a creative, simple way to set the scene. 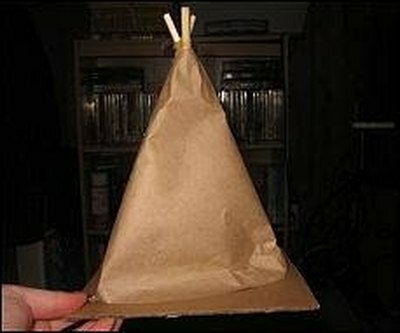 Model tepees can be used for school projects and craft projects at home. 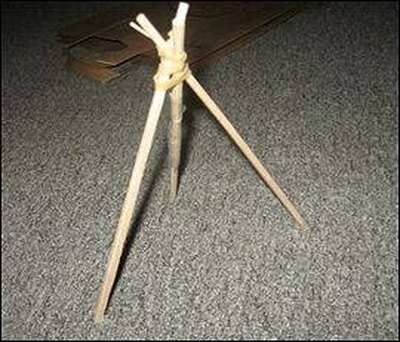 You don't need to purchase expensive store-bought models to get a realistic looking tepee. 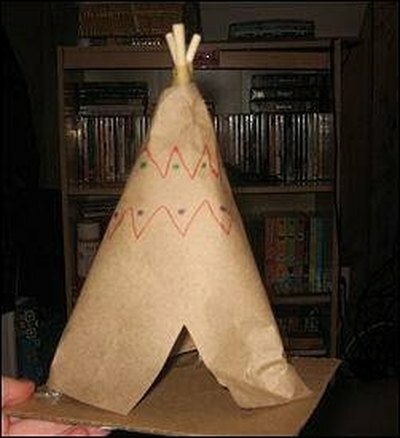 With a few basic household items, you can create your very own authentic-looking tepee model. These tepees are sturdy, attractive and simple to construct. Cut three dowels to approximately 12 inches in length. Apply rubber band to hold them together at one end. The rubber band should be about an inch and half from the end of the dowels. Spread and separate the dowels. These dowels will be the skeleton of the tepee. Secure the ends of these dowels with packing tape to a piece of cardboard. The cardboard should be approximately six inches in both width and height. Unroll the brown packaging paper. Cut a rectangle where two sides measure 18 inches and two sides measure 12 inches. Cut a triangle out of this paper. The base of the triangle should be 18 inches wide. Wrap the paper around the dowels and secure the end with tape. If the triangle is too large, you can trim the excess paper before taping the paper closed. If the triangle is too small, and doesn't cover the dowels entirely, cut a larger piece. If the paper covers the dowels at the top, cut the paper so the dowels protrude. Cut out a triangle from the paper to serve as a door. 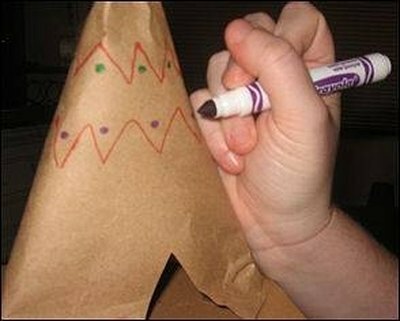 Decorate the tepee with markers or crayons for a creative, finished look. You can substitute the packaging paper with a brown paper bag. However, the paper bags are thicker, coarser and more difficult to wrap around the dowels than the packaging paper is. 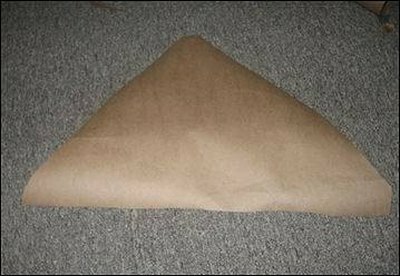 When you cut out the triangle from the paper bag, roll the material up tightly and then unroll it and roll it again in the opposite direction. Unroll it and it will be easier to use.